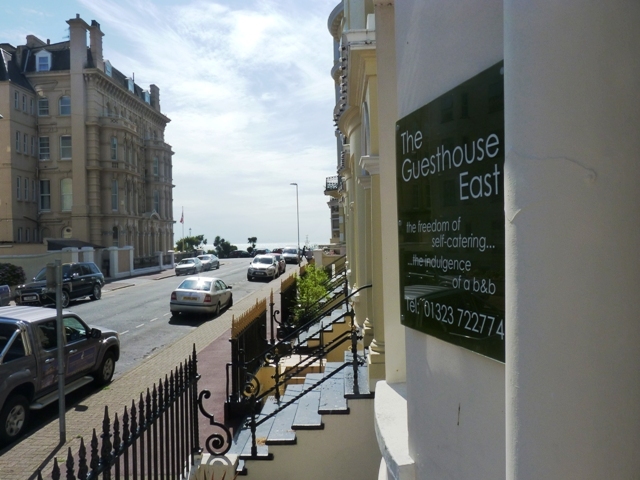 The sun is shining on another delightful morning here on Hartington Place, Eastbourne. Our guests from the Netherlands have just headed out for a trek towards Beachy Head and the Seven Sisters (true pragmatic Dutch stylee, with sandals, packed lunch and ever-so-slightly wary children) whilst others prepare for the opera at Glyndebourne. Our London journalists have just left with one last rueful look at the sea before heading back to the station. At least it’s an easy journey for their family – just an hour an half back to Clapham Junction and Victoria. Whilst the children are at nursery and the wife is out at Zumba (is EVERY woman at it these days?!) it’s a rare opportunity to indulge in a pain au chocolat, mug of builders tea and a little rumination in front of the pc and appreciation of all that is good in life. Maybe, just maybe, there will be an opportunity for a kayak fishing session this afternoon and the possibility of a bass or a few mackeral for supper, post five-a-side football. Before I lose myself completely in a fog of smugness I’d best crack on with tidying up the dining room and carry up innumerable bags of laundry just delivered. This bed and breakfast malarkey is non-stop.